Bluejacket, a brewery with restaurant —the long-awaited project of the Neighborhood Restaurant Group and its beer director Greg Engert, brewer Megan Parisi, and Chefs Kyle Bailey and Tiffany MacIsaac— finally opened its doors to the public, yesterday afternoon, in its digs in southeast Washington, D.C., near to Nationals Park. I couldn't be at Bluejacket for yesterday's opening ... but I will be there soon. Wonder why, and wonder why you should be going there as well? Read these stories. Eatery tours Bluejacket, and takes a lot of photos. The Washington City Paper has a story about Bluejacket's on-site restaurant, named The Arsenal. And, there are wines at Bluejacket. Story at Washington City Paper. As we said, I do. The 10th annual Chesapeake Real Ale Festival (and some Baltimore beer history). Saturday, it's the Chesapeake Real Ale Festival, a stand-out event of Baltimore Beer Week. More about that in a bit, but, first, let's recount some pre-Week Baltimore good-beer history. Sixty-nine years ago, in 1944, the Ossenberg family opened its neighborhood pub, Racers' Cafe, in Parkville, Maryland, just northeast of the city of Baltimore. In the late 1980s, when the craft beer renaissance had begun to grow in earnest, sons Richard and Gil transformed the pub into a 'craft' beer bar. These days, there may be other and bigger good-beer pubs in Baltimore and Maryland, but Racers' Cafe, was indeed one of the first. Today: thirteen taps, many bottled beers, and a beer and wine-shop on the premises, but, despite its name, Racers' Cafe still has no kitchen. Fast forward to 1997. That's the year Racers' Cafe first hosted the Real Ale Challenge, the Baltimore area's first-ever cask ale festival, in cooperation with the Chesapeake SPBW. It all began on the evening of Friday, 6th December, 1963 when seven disgruntled beer drinkers gathered in the Rising Sun in Epsom. Their concern was the growing decline in both quality and palatability of beer. This they felt was due to the increasing use of gas pressure dispense and the introduction of keg beers. They deplored the policies of the big brewers who, by forcing the sale of beer from 'sealed dustbins' were threatening the availability of traditional draught beer. The seven drinkers decided to form a society with the purpose of drawing attention to their plight - and so the SPBW was born. In 1963 wooden casks were still regarded as being synonymous with traditional draught beer in contrast to the sealed dustbins which contained the processed and artificially carbonated product. For this reason the name seemed ideal. After a few years, realising that metal casks were rapidly replacing wooden ones, the Society decided to relax its principles accordingly. Nowadays only about a dozen breweries use wooden casks at all, and the SPBW is more concerned with the contents than the container, which we accept makes little or no difference to the taste of the beer. However, the original name has been retained for the sake of tradition. There is only one chapter of the SPBW in the United States. It's the Chesapeake Branch, founded in the mid-1990s, in Baltimore, Maryland. The Real Ale Challenge would continue for nine more years through 2005. The SPBW was also able to secure English cask ales, and, as local breweries proliferated, so did the local cask ale options. The festival became a victim of its success: the intimate venue was proving too small for the growing crowd of real ale fans. So, in 2004, the Chesapeake SPBW moved its festival elsewhere, choosing the Wharf Rat, a brewpub in downtown Baltimore. Founded in 1994 by Bill Oliver, it was an appropriate choice: an English-style gastro-pub serving cask ale brewed on-site in traditional open-fermenters. The new festival was called the Chesapeake Real Ale Festival. The Wharf Rat would be sold a few years later and re-christened as the Pratt Street Alehouse, but the annual festival continued there unabated. There is a common thread stitching together the Real Ale Festival/Real Ale Challenge, the Chesapeake SPBW, and Baltimore Beer Week. All were the creation of Joe Gold, a long-time good-beer maven in the city, and the current sales manager for the city's Heavy Seas Brewing Company. A good legacy: this week, it's the 5th-year observance of Baltimore Beer Week, and this Saturday, 26 October 2013, it's the 10th anniversary celebration of the Chesapeake Real Ale Festival. Oliver Ales is the house brewery at the Pratt Street AleHouse. Steve Jones, its long-time brewmaster, is the cellarmaster for the Festival. He and assistant brewer J. Derick Davis will have moved all the casks onto stillage, and ensured that all have been properly conditioned. And, what are those cask ales? 40-plus casks from about 30 breweries: many from Maryland, a few from Virginia, Pennsylvania, and Delaware, and a few from outside the Chesapeake watershed, including one from England. But, as Justin Dvorkin —Pratt Street Alehouse proprietor— told me, this is a fungible list. Many expected casks will arrive, but some may not. Many will be in good shape, but some, unfortunately, may not be (the delicate nature of real ale). Some casks may surprise with unexpected appearances. And, this I like. Once you get in, you enjoy. There's no need to buy additional tickets for beers. Lake Tahoe: a fresh-water glacial lake divided politically between the states of Nevada and California. At a surface elevation of 6,225 feet, it is the largest high-elevation lake in North America. Tahoe is the second-deepest lake in North America, at 1,645 feet, and is the the 27th largest lake, by volume, in the world, at 122,160,280 acre-feet. Water color of cobalt-blue and aquamarine. Clarity pristine, in the face of development. Lake rimmed by the mountains and cliffs of the Sierra Nevada range. Words fail, at least here at YFGF, to describe Tahoe's beauty. 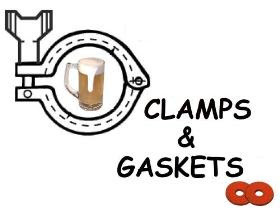 Clamps & Gaskets: News Roundup for Weeks 39/40, 2013. Governor Martin O'Malley declares October to be Maryland Beer Month. Via YFGF. October is Virginia Wine Month. Via Virginia Tourism. Cask Ale Week 2013: 27 October through Sunday 6 October. Observed only in the U.K. The state of cask ale in the U.K. Down slightly, but stronger than beer generally. The Cask Ale Report, via Pete Brown. Of all counties in the United State, only one county, Montgomery in Maryland, is the only distributor of beer, wine, and spirits. An explanation of the byzantine beer system in Montgomery County, via blogger Elspeth Payne. Autumn officially begins today at 4:44 PM EDT with the autumnal equinox. 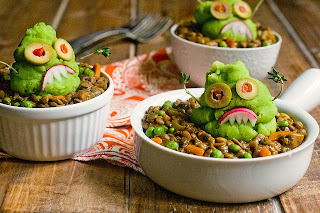 Via Hufington Post. It's a close-up shot of a 'gravity-pour' cask tap that had been driven into the wooden keystone of a stainless steel beer cask. A gravity tap is called that because Newton's law dictates the flow. Open the tap, and the beer flows out, down. The beer was Hellraiser, an IPA, brewed by DuClaw Brewing, of Bowie, Maryland. IPA is an acronym for 'India Pale Ale', beer-speak vernacular for a hoppy, bitter, and alcoholically-strong pale ale. Hellraiser was, indeed, hoppy. The brewery rated the bitterness at 85 IBUs (International Bittering Units, a biochemically derived measure of hop-derived bitterness). Budweiser, by contrast, has been measured at less than 10 BUs. And, Hellraiser was, indeed, strong: 7.5% alcohol-by-volume (abv). Cask-conditioned ale (often referred to as 'real ale') is exquisitely fresh beer. It is served from the very vessel in which its final fermentation occurrs, i.e., the cask. The most common size of a cask, 10.8 U.S. gallons, is known as a 'firkin'. DuClaw further infused the Hellraiser, within the firkin itself, with dried apricots and Guajillo peppers. The beer was, indeed, spicy. The photo was taken at the 2012 Chesapeake Real Ale Festival, at the Pratt Street Ale House, in Baltimore, Maryland. This year's fest, the 10th annual, occurs Saturday, 29 October 2013. Details and tickets available: here. "Gonna tell a story, morning glory, all about the serpentine fire."